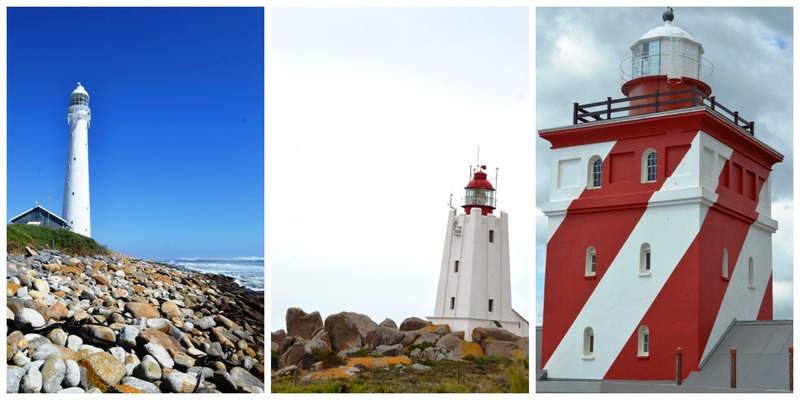 I’m fairly sure we were bitten by the pharology bug when we couldn’t see the inside of Slangkop lighthouse in Noordhoek a few weeks ago because I immediately started making plans for us to take a road trip to Cape Agulhas to satisfy our curiosity and see the inside of another lighthouse. After finding the phone number and making sure it would be open on a Saturday afternoon, we set off on Saturday morning for our little adventure. Every time we set out to discover something new I’m blown away by how little of our province (not even country) we have actually seen. How can we not have done more exploring by now? Once we left the lush, green Elgin Valley we drove past farm after farm of sheep, cows, horses, buck and even a few ostrich. 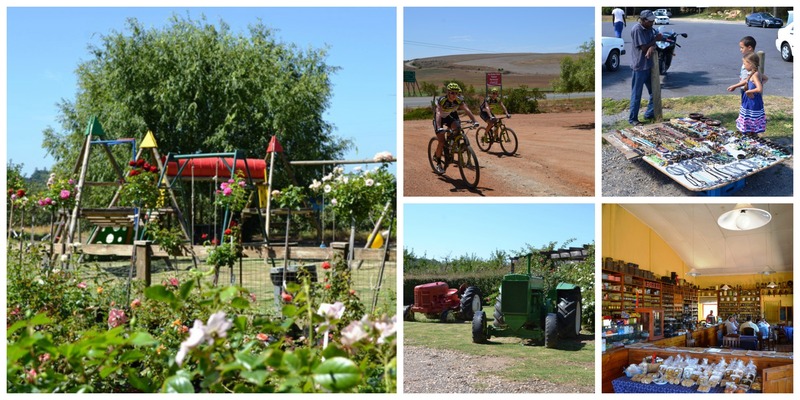 I’m so glad we stopped off at Peregrine farm stall about 90 minutes into our journey as the next toilet and snack stop was a good 100kms away. When you travel with children the rule is to stop for a toilet break often, even if everyone claims they don’t need the loo. Clean bathrooms are hard to find so make the best of it wherever and whenever you can! 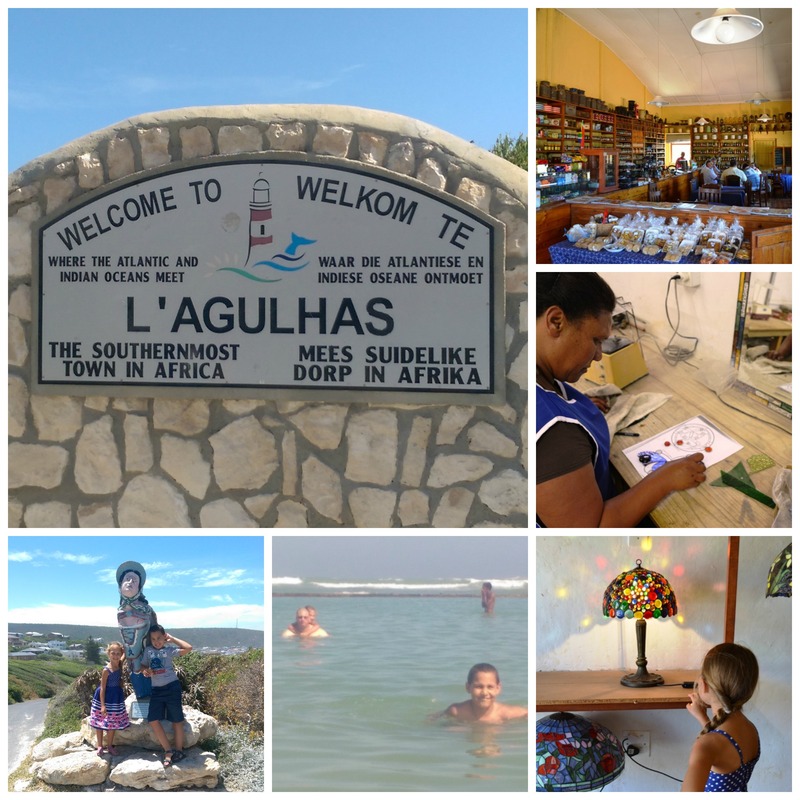 In order to get to Cape Agulhas we drove through Caledon, Napier, Bredasdorp and Struisbaai and I encourage you to leave home early enough to be able to stop at all the little shops and studios in these little towns. We stopped off at a stained glass studio in Napier and the kids got a chance to see how stained glass is made. It was a truly priceless learning experience for them. 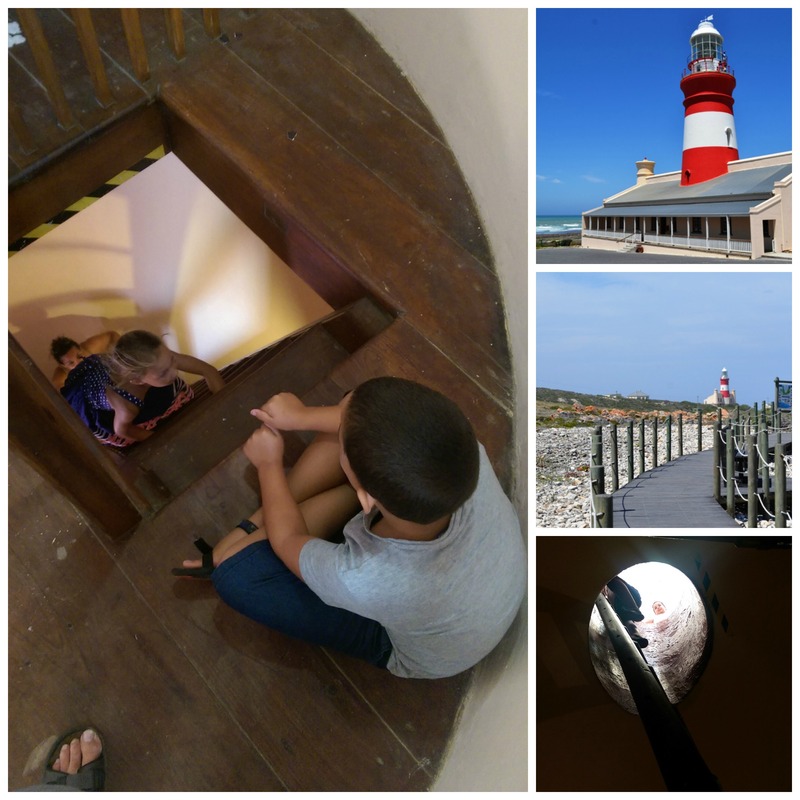 Once we pulled into the parking lot at Cape Agulhas everyone was more than ready for a leg stretch and the kids couldn’t wait to finally see the inside of a lighthouse. They raced up the path ahead of us and immediately found this bulkhead replica which they asked me to read out loud for them. It’s pretty awesome to be able to expose gets to history and culture outside the context of text books and I think it will give the edge in school when they eventually learn about shipwrecks and the 1820 British Settlers. After signing indemnity forms and paying R74 for a family of 2 adults and 2 kids under the age of 12 we started climbing the steps to take us to the top of the lighthouse. I will go on the record here to say I was TERRIFIED! Heights are one thing…climbing ladders in a long white summer dress is another story altogether. In my defense I always thought lighthouses had a spiral staircase (for some reason) so my wardrobe choice didn’t seem disastrous when I left home that morning. I was near tears and my legs were shaking by the time I got to the top but I am proud to say that we all made it and what a view! The funny thing is is that while I was writing this blog post in my head, it didn’t occur to me how many lighthouses I had already seen the outside of. 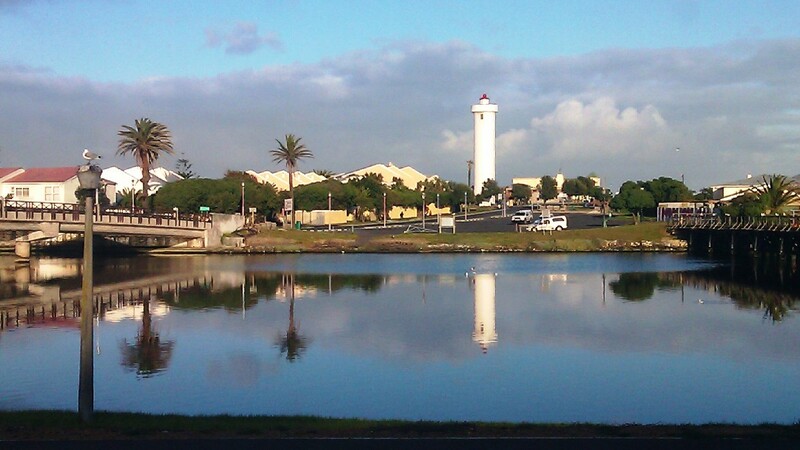 It was only after I had done a bit of research did I realize that I drive past the Milnerton lighthouse every morning on my way to work. Yes, I know it’s a lighthouse and I see it every day but when I was listing lighthouses in my head I completely forgot about it. Then I remembered seeing the Cape Columbine lighthouse on our trip up the West Coast in November. Of course the one most familiar to those of us who live in Cape Town is the Green Point light house and I’ve walked or driven past that one more times than I can count. 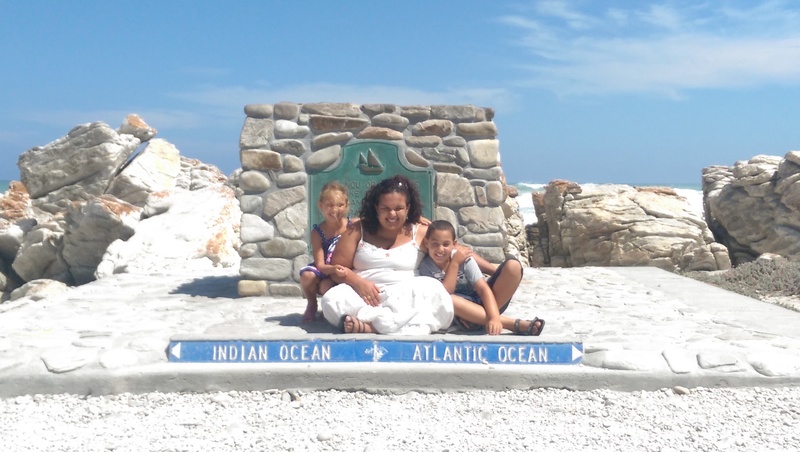 That was when I realized I had already seen 5 lighthouses and the only one that took a little bit of an effort to see was the one at Cape Agulhas. And, after climbing 4 ladders in one of the shortest lighthouses I’m not at all tempted to climb the one at Slangkop but maybe I will be brave enough by the time school holidays roll around. Who knows…we will have to wait and see ;). 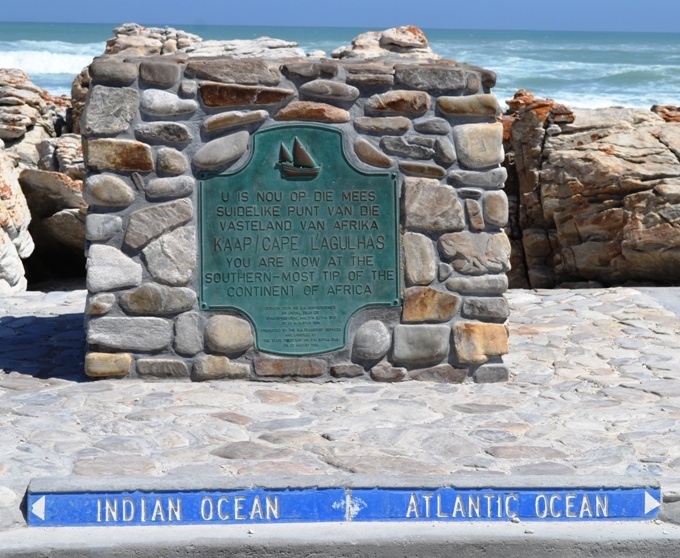 The “Southern Most tip of Africa” is about a kilometre from the lighthouse so we took a walk and went to see it for ourselves.